Welcome to our website. 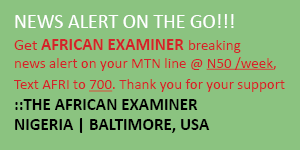 African Examiner.com is owned and operated by RD Frontline LLC, Baltimore, USA. African Examiner.com does not collect personally identifying information like Name, Email address, Social security number, Phone number, and Credit card information in order to access and browse our Website. 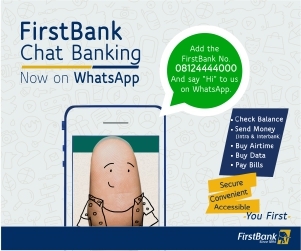 However, when you decide to seek information or want to transact business with us, we will ask for information like your name, e-mail address, telephone number etc. Information provided to us in this regard will only be used specifically to transact business with you and resolve whatever enquiries you may have sought. As soon as we are done with the business or the issue you have raised, we will delete your information from our system. Any personally identifying information provided when you seek information or transact business with us will not be transferred to third parties without your permission. Our sever produce industry standard server logs that track which pages visited, which links are followed. The information is regularly collated for the purpose of assessing and monitoring the popularity of various pages of our site. IP addresses are never used to track specific users. Server log information is destroyed as soon as possible (typically within 30 days) once the data collation report is completed. Note that Views expressed by advertisers, columnists and those contributing articles are solely that of the writers, these views do not necessarily reflect that of African Examiner, RD frontline LLC or other companies owned by us. Our stories could be re-used on your website or other projects as long as you mention africanexaminer.com as the source and link the story to the URL of the story on your website. Anyone or organization that fails to do this violates our terms. This policy is subject to change anytime and it supersedes any previous policy (s) we might have posted on our site. Thank you for your business and for visiting africanexaminer.com.